Here are some views of the upper pulley system. 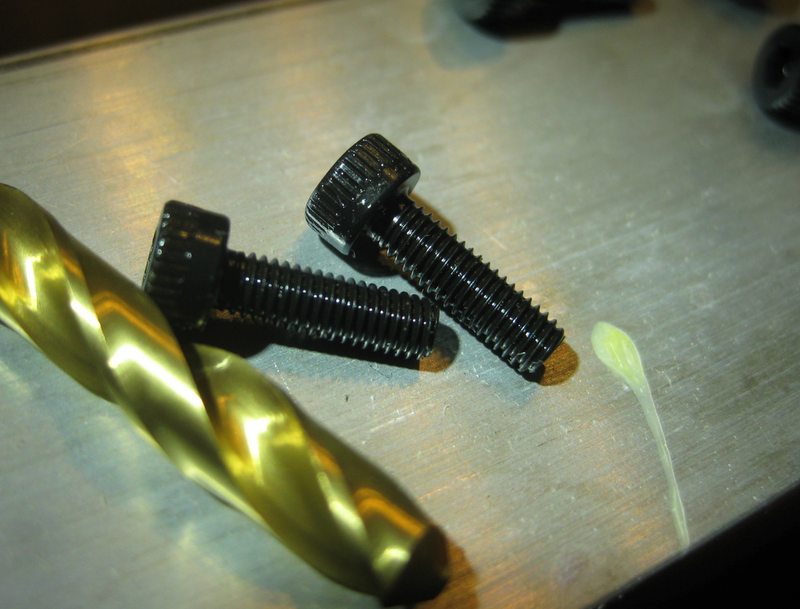 We’ve been doing some research into air knives and considering ways to make staining of thousands of small parts faster. Dip it into the stain, and have a captive air knife blow the excess off (dripping back into the bucket) as the part is pulled out. The PVC tube will be hinged so it can be opened for cleaning. 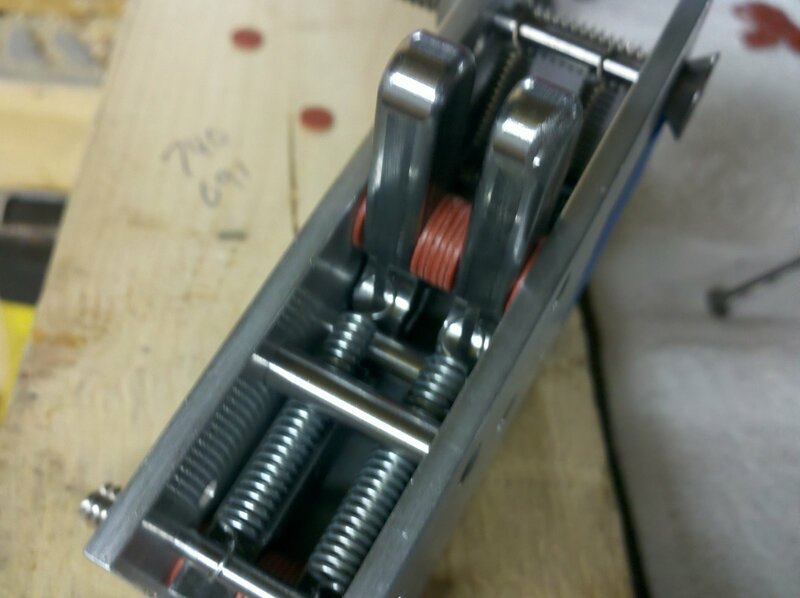 The air knife assembly will be near the top of the tube. 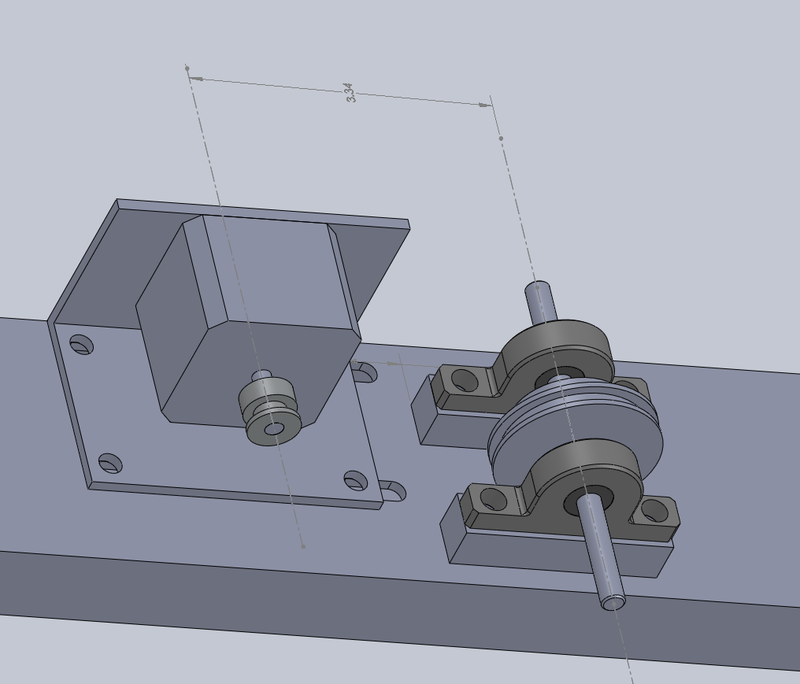 Now just need to design the servo motor mounts, air knife mount, and misc. other structural components. 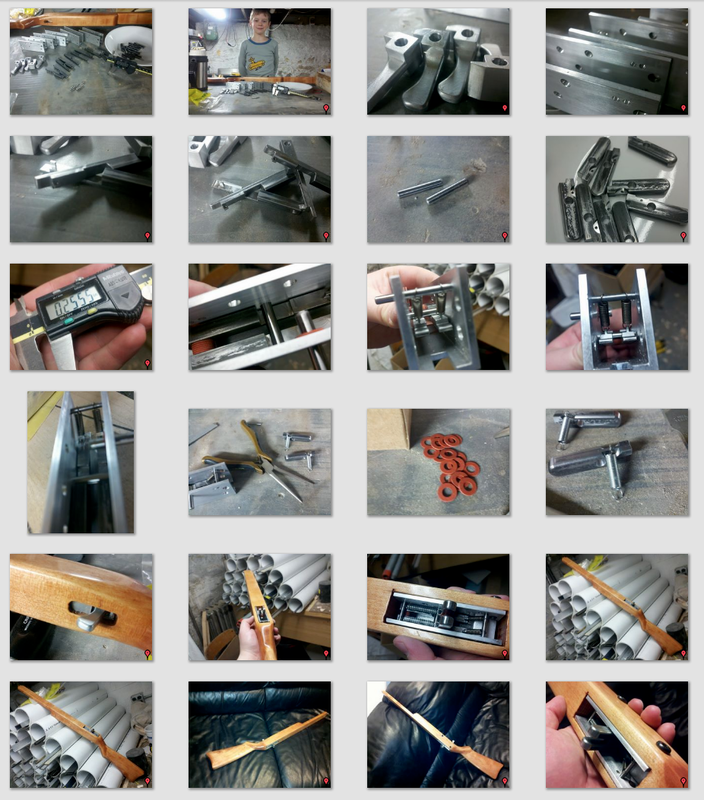 It all started by laying out all of the pieces for each assembly. Quite a few when you add them all up. 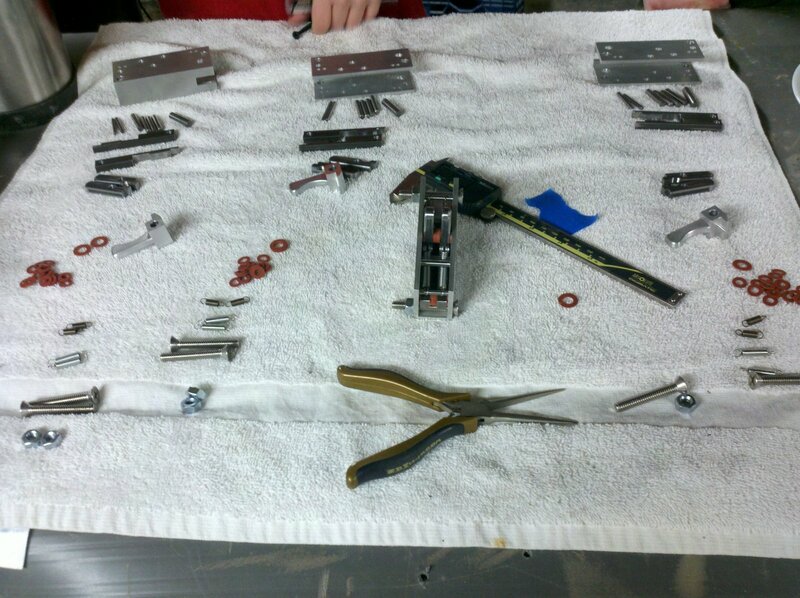 Pictured below are the parts for 4 assemblies. Receiver, Pins, Actuator, Hammer, Trigger, Washers, Springs, Bolts, and Nuts, along with some tape to hold the loose pins in (temporarily). Refer to https://blog.gahooa.com/2010/09/23/rubber-band-gun-6-four-pieces-explained/ for more information on each piece. Here is the receiver. Note, the two small holes beside each other. 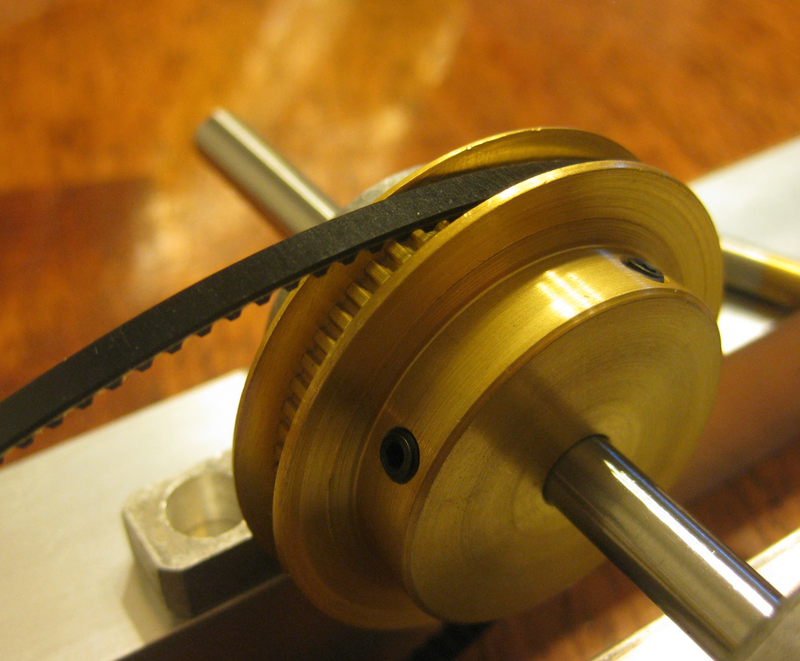 This is to allow for an adjustment to spring tension if needed. 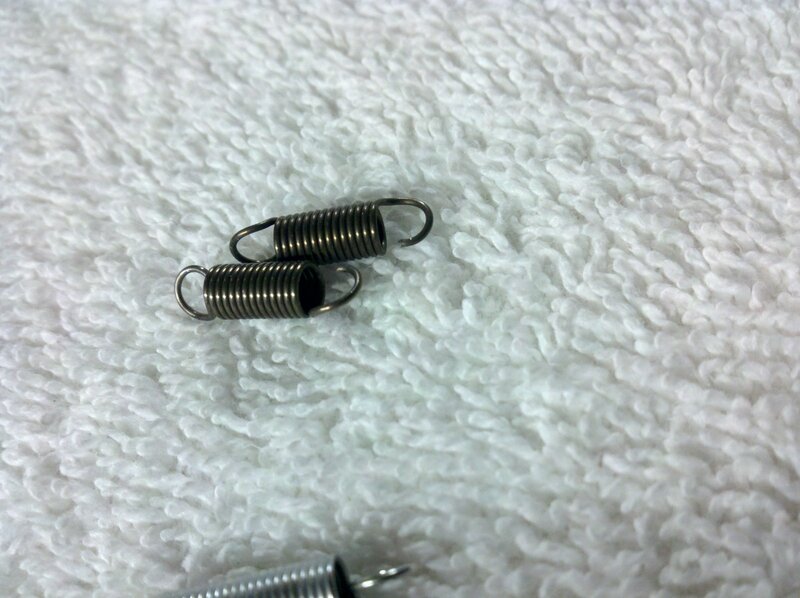 These springs are tough little guys. 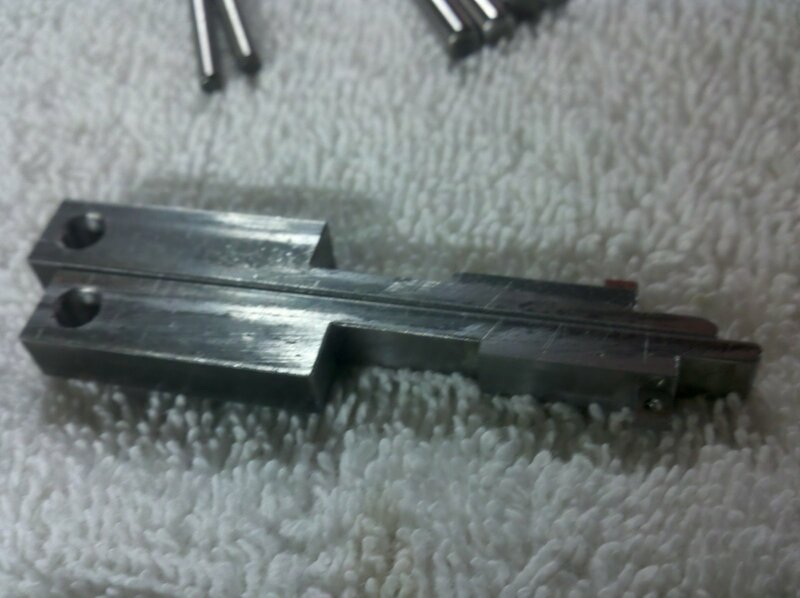 ~ 9 pounds per inch, with a max travel of just over 1/2 ” (if I recall correctly). They also cost $1.29 each in quantities of 100+. 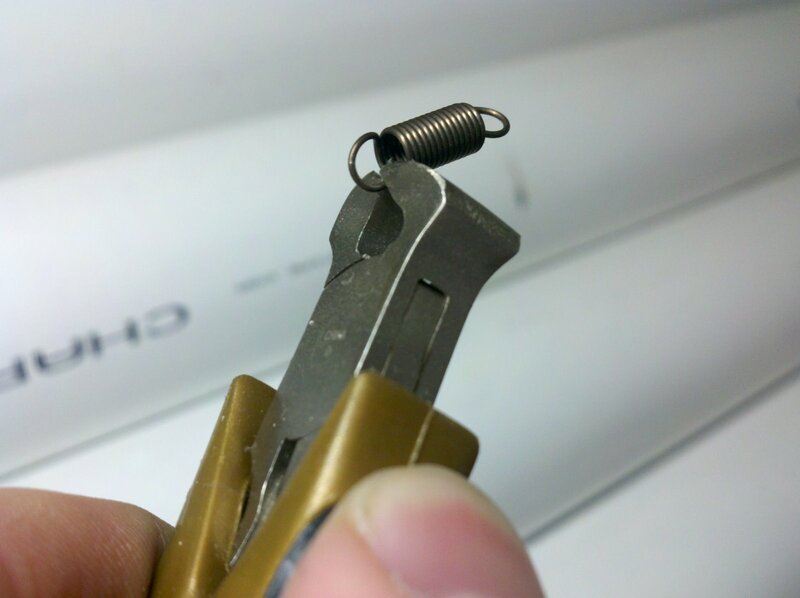 In order to use them, I needed to snip the closed loop open on one end. 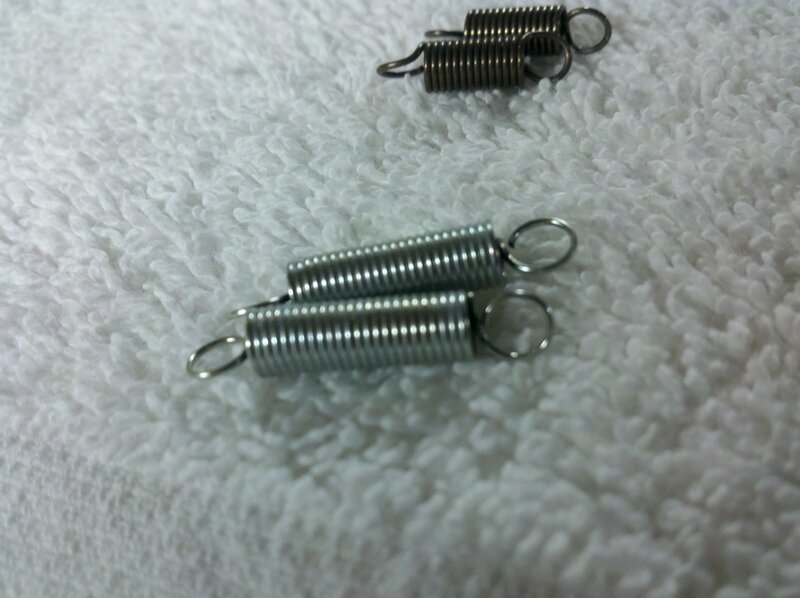 Following this, the springs were hooked onto the actuators. 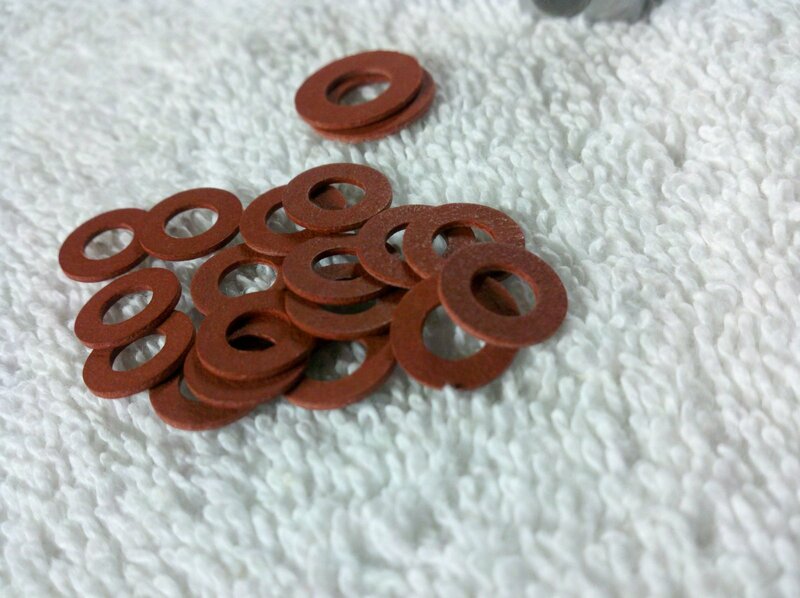 … separated by red, hard fiber washers. 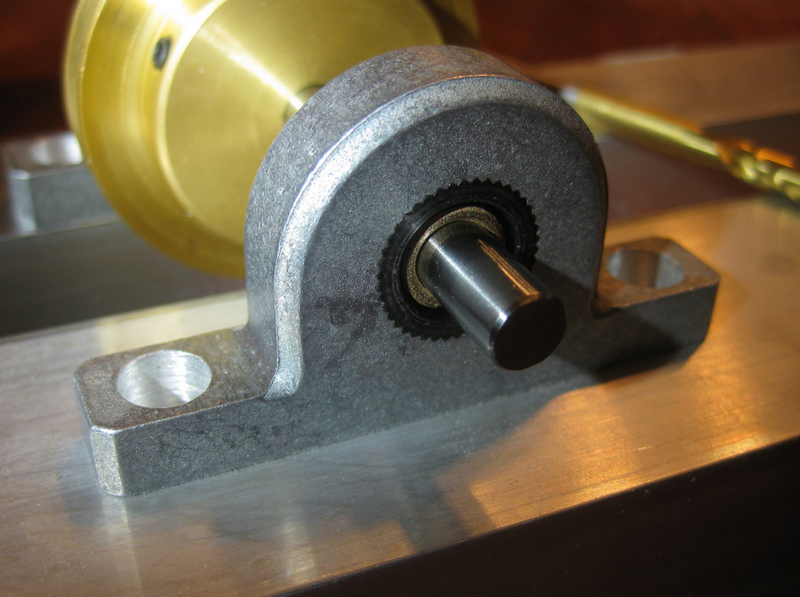 These washers have a very tight thickness tolerance, which is needed in this application. 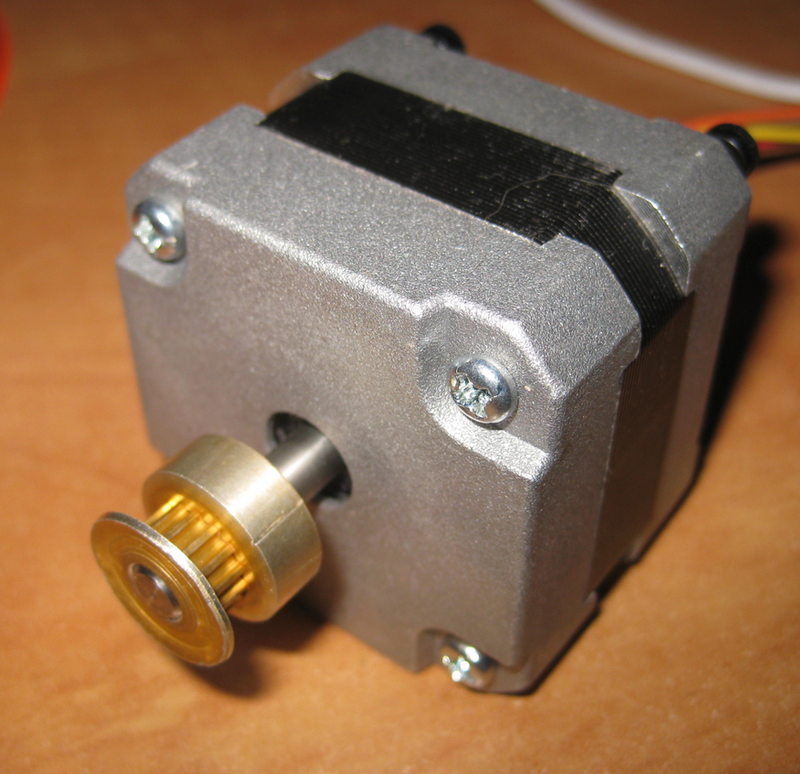 Once the actuator was in place and the springs fully connected, we inserted the hammers. The hammers had more room for spring stretch, so we opted for a cheaper, longer stretch spring (about $0.50 each in small qty). 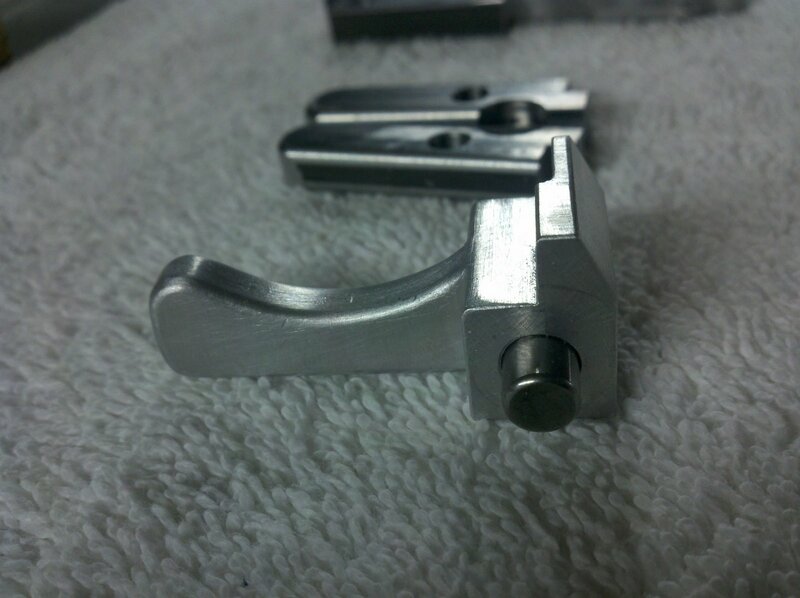 The most interesting, and hardest to machine piece in the assembly is the trigger. 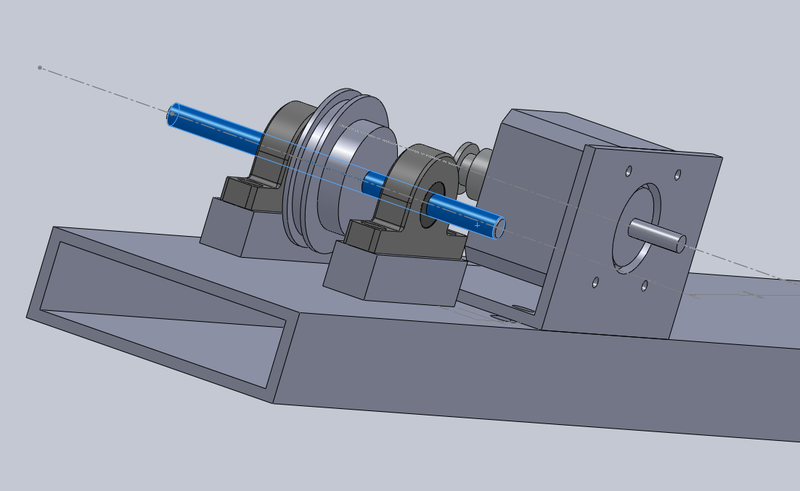 Due to an error in machining, the trigger hole was drilled to just 0.250 inches, instead of the 0.1875 the drawing called for. 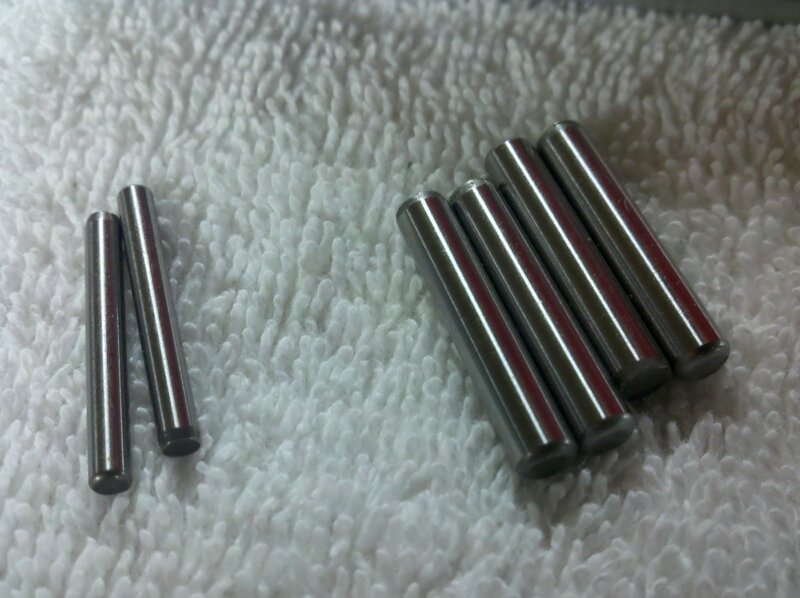 I purchased a 0.2503″ reamer (accurate to +/- 0.0001″ (yes, a ten thousandth of an inch). 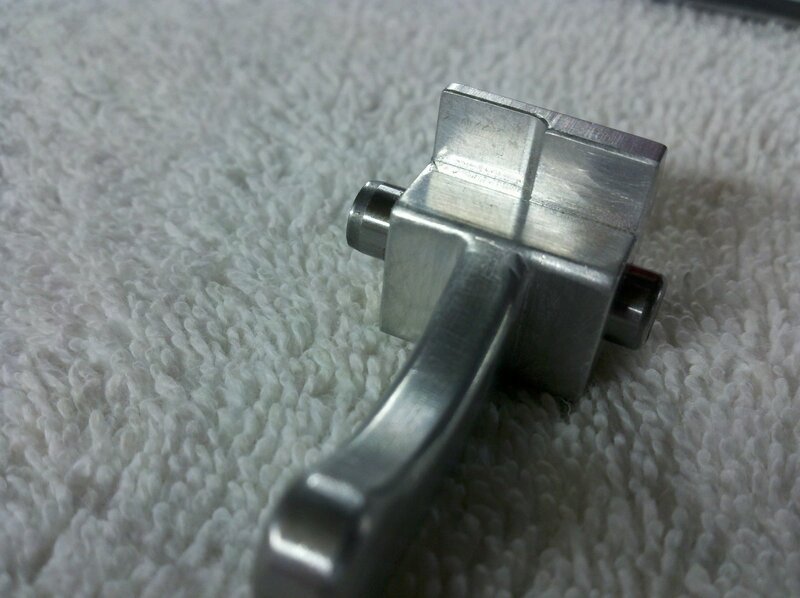 This made the trigger fit perfectly on the dowel pins (but only after blowing the dust out!). Another view of the trigger. 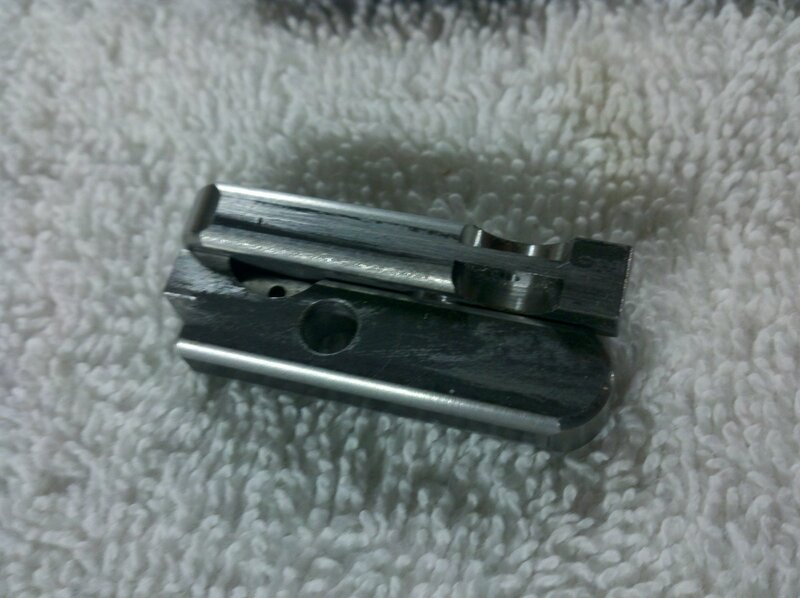 Notice the step in the aluminum… This is what causes one hammer to release before the other. 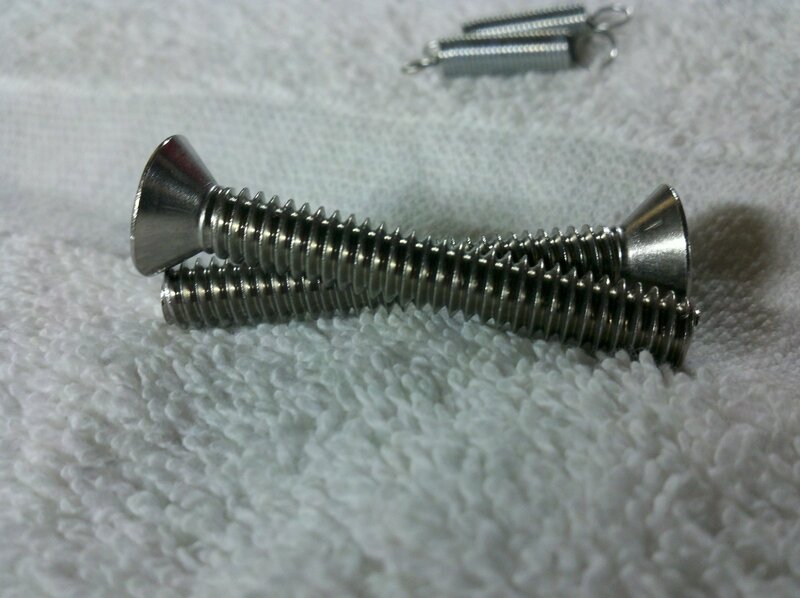 I chose stainless steel screws to hold the mechanism into the wooden stock, although other methods could be employed. Plus, I just like close up photographs, so I included this one. 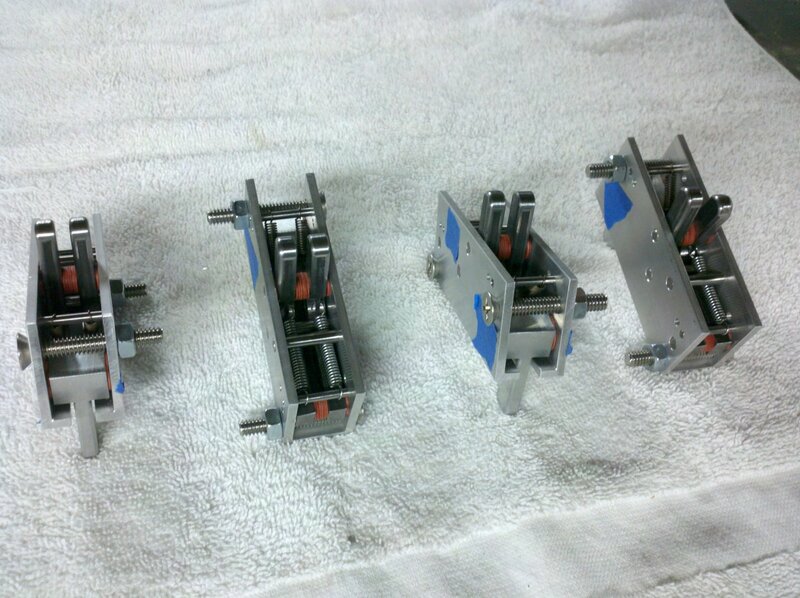 Here are the four assemblies finished. The tape is placed over any loose pins to keep them from falling out. 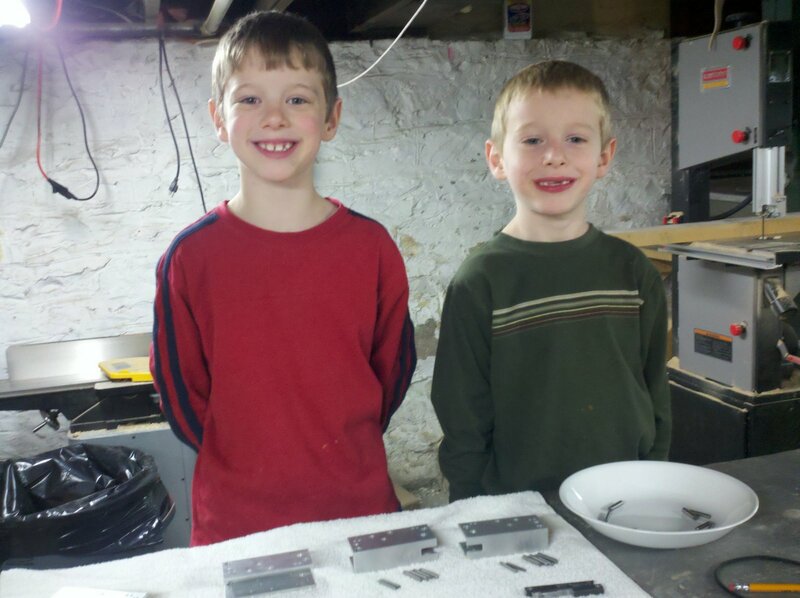 The wooden stock will retain them firmly, similar to the design of a Ruger 10/22. 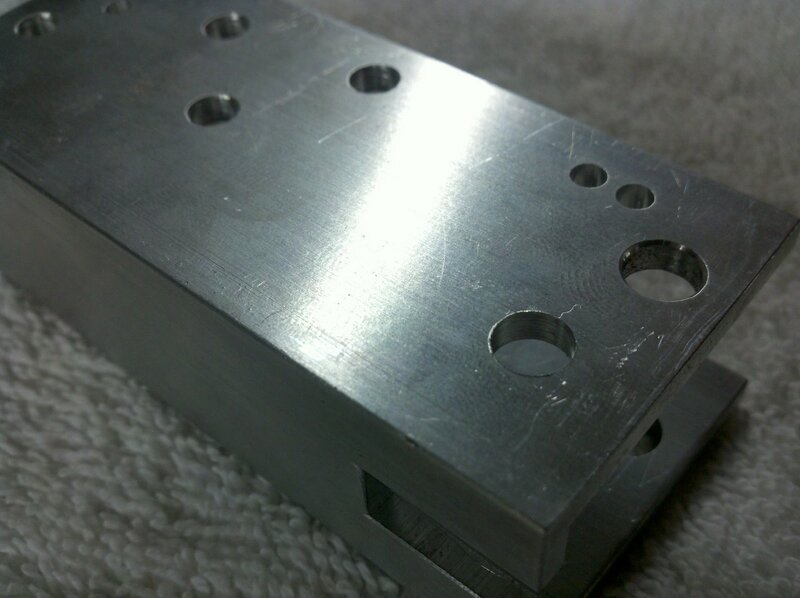 A close up shot of the receiver. Now we just need to make several more stocks! Just a set of photos regarding the assembly of M6-001.